Improvements in power-supply units (PSUs) over the last few years have translated to better efficiency, enhanced ripple suppression, a lack of noise at low loads, voltage regulation that doesn't buckle under extreme load, and modular cabling on the more premium supplies. 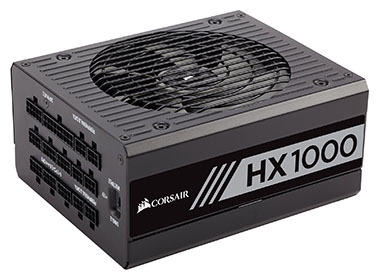 Corsair has carved a name for itself as a provider of a wide range of PSUs for the last decade, and the models now encompass, in order of quality, AX, HX, RM, TX, SF, CX, and VS. Quite a number then, and the premium trio all has a subset, denoted by the letter i, which offers integrated Corsair Link connectivity. The company is bringing some more choice and a little extra value to the premium segment with the non-I supplies. 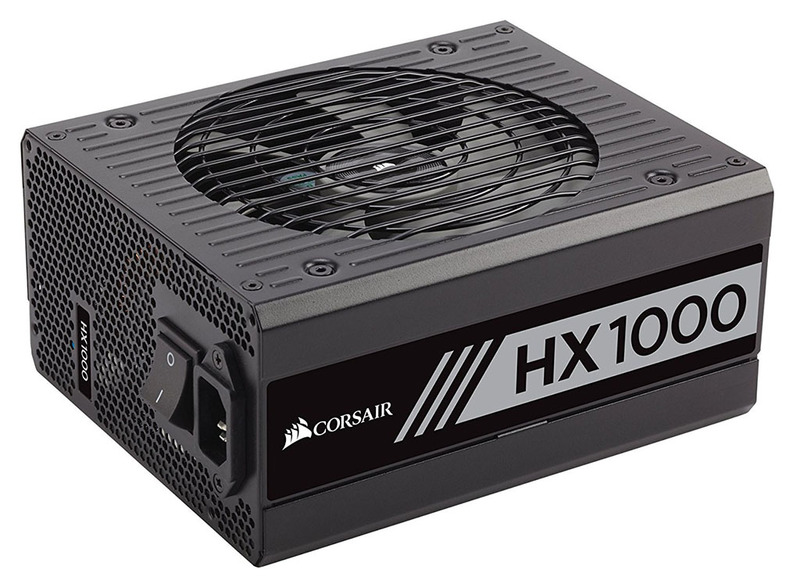 To that end, the standard HX series is available in the same 750W, 850W, 1,000W and 1,200W capacities. We have the 1,000W model in for technical evaluation today. If you have kept a beady eye on Corsair power supplies, you may think that this is the HX 1000i with a different sticker and a lack of Corsair Link connectivity. That isn't strictly the case, as while this model uses the same case, it has a different fan - 135mm vs. 140mm - and has slightly different plumbing. 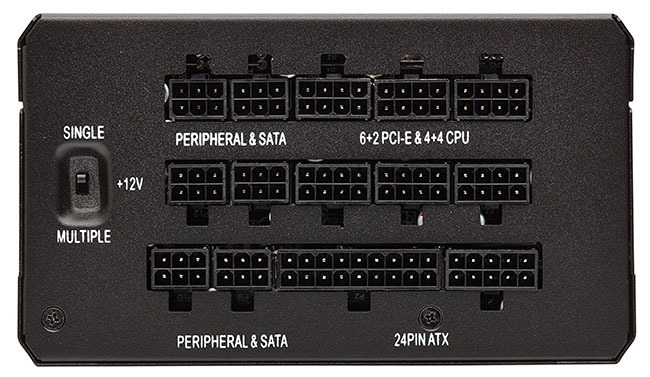 Being fully modular is standard these days, yet the HX 1000 has four fewer peripheral connectors, one fewer floppy, but four more SATA, and we prefer this arrangement for modern builds. A change from the Link compatibility means that Corsair replaces that with a switch which changes the supply from multi-rail to a single rail, should you so wish. Even so, there's the usual overcurrent and overvoltage protection in place in multi-rail mode. One area where Corsair hasn't changed is with respect to cabling, so it's a collection of low-profile, all-black cables that, obviously, you only attach as and when needed, enabling a clean build. Inside, Corsair uses all-Japanese components for presumed better stability and supply longevity. Internal build and routing is above average, and this is the largest capacity available in the 180mm-deep form factor. The 1,200W model uses a different, larger casing measuring 20mm more. Premium supplies mean high efficiency. Corsair ranks the HX range as Platinum, meaning that, at top efficiency, about five per cent is expelled as heat. Such lower emissions and relatively large chassis translate to the supply's fan remaining switched off at wattages below 400W, and then only runs linearly from 600W to 1,000W. Backed by a 10-year warranty and retailing for £20 less than the Link-equipped model, or a street price of around £175, it is competitive with other supplies touting similar specifications.